From the maker of “Occupy the Farm”, which premiered premiered two years ago this week at the United Artists Berkeley 7 Theater, comes a new documentary “Two Rivers” which tells the tale of the Missouri and Klamath Rivers and the indigenous tribes who fight to defend their waters from outside industries. Director and producer Todd Darling spent ten weeks camped out at Standing Rock near the Missouri River, and nearly as long traveling up and down the gorges of the Klamath River to make this film. A lot has been accomplished, but he and his team still have some production to complete and editing to move forward. While filming at the Klamath River to witness and document how people and nature react when drought meets global warming, the movement at Standing Rock began to heat up. When Darling realized that the shared histories of the two rivers – of invasion and resistance, dams and diversions – were so similar, he packed up his gear, found a friend to help record audio and make camp, and they headed for North Dakota. 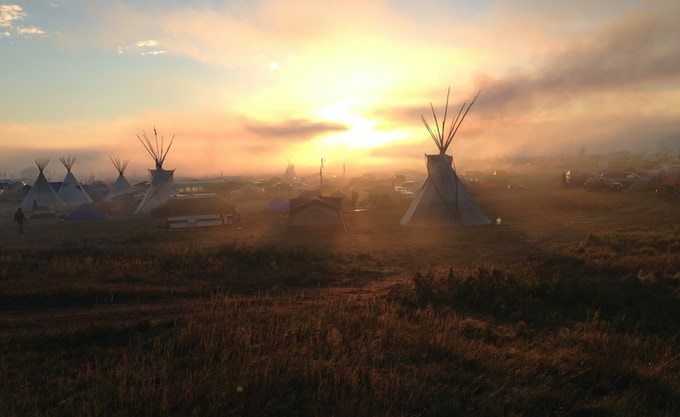 “Two Rivers” observes the epic sweep of history that brought Darling and thousands of native peoples, old ladies, students, activists, veterans and countless others to Standing Rock and follows the indigenous voices who are willing to speak out in the face of our impending global dilemma. It tells the story of how real people wage this battle.